Match is one of the oldest online dating sites, providing users across 24 countries with a meaningful online dating experience. With various subscription plans, endless features, and a success rate that speaks for itself, there’s no reason that you won’t be able to find your significant other on Match. In fact, Match is so confident that you will find love on the site within 6 months, you’ll get another 6 months for free if you don’t. Match’s Search stands out due to its advanced filters. You can search for people who are online now, only profiles that have featured photos, and even based on occupation, location, exercise frequency, eye color, hair color, and more. If a profile has small green dots, it means that this person is currently online and available for online chat. You can either send them an instant message, save them for later, or user “Quick View” to get a glimpse of their profile. “Reverse Match” is another interesting feature, that lets you search for people who’ve been looking for you, but that you haven’t been looking for. This way, you’re able to learn about what types of singles you attract, and reach out to them if you’re interested. Another cool feature is “New User Highlights,” which helps singles overcome the masses of profiles on the site. You can immediately check out newcomers and see if they could be a good match for you. But the most adventurous feature of all is “Spark Date”—you can suggest a date plan or activity, and people browsing the website who like your idea can take you up on it! Match sends users 12 Daily Matches per day, which you can act on by reaching out to the singles you like, or marking “No, Thanks.” Match will then learn not to suggest you similar profiles, resulting in increasingly more accurate matches over time. After reaching out to someone you like, you will received a notification once they’ve answered your message. You can then take part in a live chat, and send them “winks,” “likes,” and “favorites.” You can also use the Match mobile app for dating on-the-go, and send other users quizzes and play games to learn about one another in a playful way. If you’re not a fan of virtual communication, you can check out Match’s “Stir Events,” which are offline events for singles to mingle with others. These are a great way to meet new people without the pressure of going on a first date. Match’s signup is quick and simple. Your email address, date of birth, and password will be required before you can view other profiles. Once this information is complete, you will be taken to a page to fill out some profile info about you and your match. You can skip anything you don’t want to answer, but it is recommend to take 5 or 10 minutes to fill this section properly, as this is where other members of the site will look to see if you’re worth a conversation. Your profile can cover information such as gender, location, birthday, age, relationship status, who you’re looking for, interests, appearance, lifestyle, values, education, faith, languages, and more. If you’d like to elaborate and share more about yourself, use the introduction headline to write a short essay. Match offers a competitive pricing structure that includes both basic and bundle plans. The bundle plans are more competitive with benefits like a highlighted profile and email read notifications. If you'd simply like to try the full functionality of the site, sign up for 3 months, which will cost you $23.99/month. This is the most expensive way to subscribe. The 6 month membership is priced at $19.99 per month, and comes with the Match guarantee (another 6 months free if you haven’t found love)! 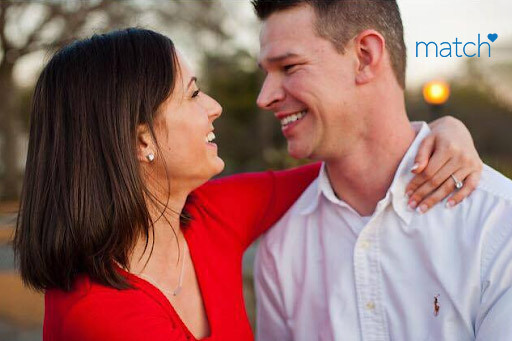 With a simple signup process, extensive search filters, unique matchmaking features, and friendly communication tools, the Match experience has everything you need in an online dating site. The dashboard is intuitive and pleasant to look at, making all of the site’s functionalities and features easily accessible. What’s unique about this site’s experience, is that it goes far beyond the online realm with offline events such as parties and trips. That, together with a easy-to-use mobile app, ensures you never fall off the wagon and constantly stay on top of your journey to find love. Match offers useful advice for Canadian singles looking to have fun online in a safe way. That’s why the website contains safe online dating tips, dating advice, and the truth behind online dating. New and existing members should make it a point to visit these pages and learn more about online dating safety. Match has a detailed help center on its website, which covers most frequently asked questions and issues that you may come across. If you’re in need of further assistance, you can contact Match via phone or email. Is Match Right for Me? 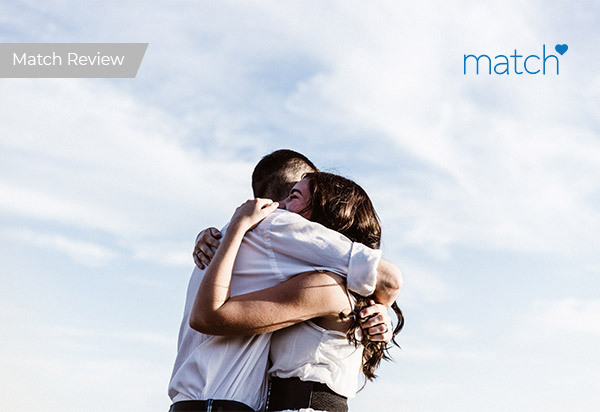 Match is one of the world's most popular choices in online dating, boasting a huge amount of success stories. On the site, Canadian singles of all kinds will find excellent matchmaking tools, advanced search filters, and unique communication features to use on their journey to find love!